Pete Winkelman made a bold decision in hiring a manager with no first team experience to help MK Dons out of the League 1 relegation zone. But the man behind Dan Micciche packs plenty in his bags. Keith Millen has been there, seen it and done it during his career. Having racked up more than 500 career games, he has also taken charge of Bristol City and Crystal Palace on several occasions as caretaker manager, and has worked with some of the biggest names in the managerial game. After leaving Palace when Sam Allardyce took over 12 months ago, Millen has been working with Tottenham and Portsmouth - providing match and scouting reports for Kenny Jackett upon their return to League 1. Micciche comes as something of a blank canvas to the managerial game, but Millen said he won't be telling him how to run his team but will be there as a guide to help him. He explained: "He has to learn how to be the manager of a first team. That's an exciting prospect but he has to have an aloofness that a manager has, and an authority the manager brings. "I've worked with a lot over the years and they all have that respect. Some because of their knowledge, some because of their work and some because of the fear factor or just their presence and aura. There isn't a right or wrong way, but it's about how you pass the knowledge onto the players. That's what wins you football matches. "I'm not going to tell Dan how to manage - he has to work out what works himself. He asks loads of questions and I give him my opinion. Every manager is different and there are so many aspects you have to take into account." Millen's appointment, by his own admission, came as a bit of a shock to him. Having never met Micciche before, a phone call to interview at Stadium MK came last Monday and he was unveiled less than 24 hours later. "It was all very quick," he said. "I was working at Portsmouth this season and I got the call from Dan. I'd never met him but had heard of him. He explained the situation, we had a good chat and I liked what he had to say about how he wants to work. It excited me. I got the call on Monday to meet him and the chairman. I'd been before and had seen the facilities but didn't realise quite how good they are until I walked around. "The chairman's enthusiasm for the game and the club is infectious and I loved what he had to say, and it just felt right. "I spoke to Kenny Jackett at Portsmouth and they were really good about it. I hadn't committed to a contract with them because they knew I was looking elsewhere. I checked with the wife, of course, and she was glad to get me out the house! "I've been in this situation before. At Crystal Palace, i worked with a lot of different managers - some I knew, some I didn't. I think one of my strengths is quickly working out how the manager operates. I have to be different to the manager, and I can adapt like that. Dan has a real thirst for knowledge and he's not a dictator in any way. I like being hands on. It was win-win for me." 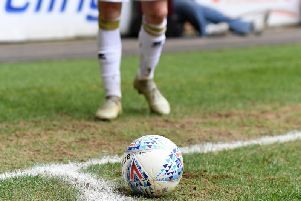 And wins will be top of the wishlist for Dons fans, who have seen their team pick up just two wins in the last 17 in League 1 as they dropped into the relegation zone. Millen refuses to believe it is a 'false position' so far, but believes the team has the quality to get themselves out of trouble. He said: "I've seen them play a couple of times and I've heard people say this is a false position, but I don't like that phrase. You're there for a reason. Our job is to work out what that reason is and to put it right. "I've been in the Premier League drop zone so I know the pressure, but it's our job to deal with that pressure. You play a lot better when you're free in your mind. We're here to build their confidence and you can only do that on the training ground. Hopefully they'll take on board what we have to say and the luck will turn."